When I was told that we are going to Mount Elizabeth Novena Hospital for dinner, there was a puzzled look in me. I mean who would have thought that there is actually a Chinese restaurant hidden inside the hospital. 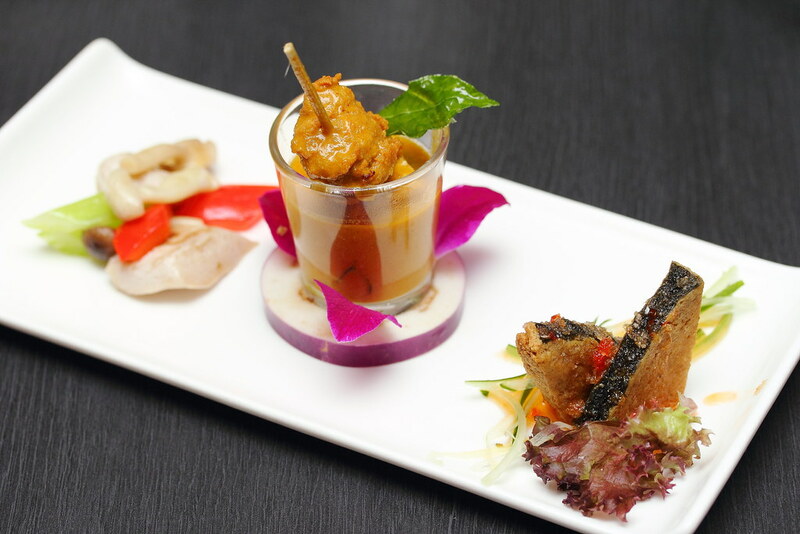 Samsara Gourmet is a hidden gem opened by Miss Violet Lee, Miss Singapore 1984 and a career woman who has built her success as Direct and GM Guocoland Properties Limited in China. She returned to Singapore in recent years and decided to open the current restaurant which is helmed by a ex-Tung Lok chef with more than 20 years of experience. Even though Samsara Gourment is not a vegetarian restaurant, it does cater for special request. 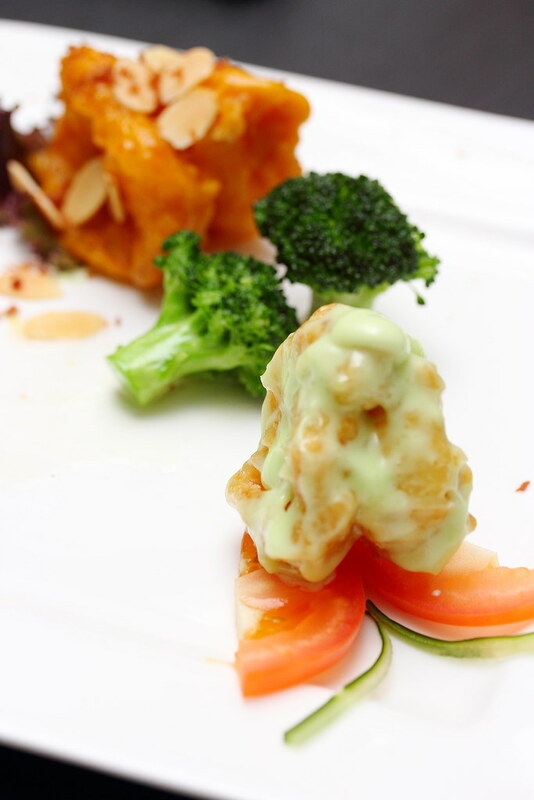 We will given a glimpse of what the chef can do with a delightful trio of Vegetarian Platter as a starter. The mock meat satay stood out among the trio with its interpretation of the local skewer with curry sauce. 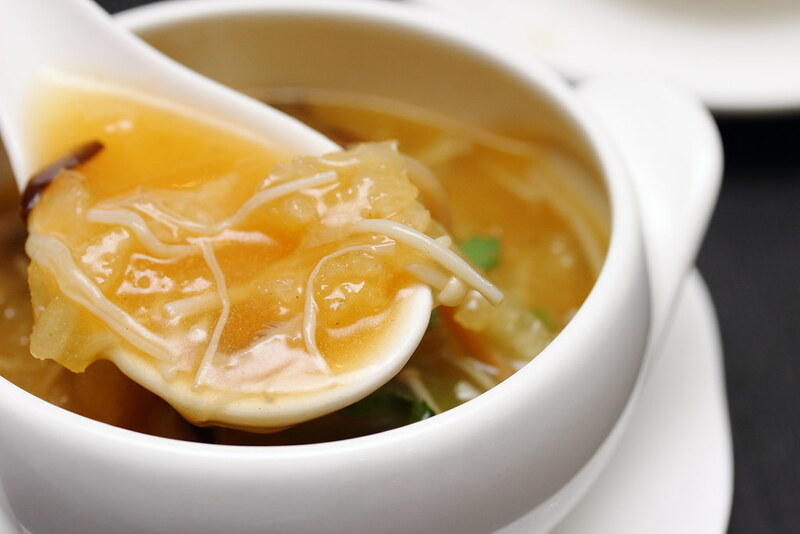 Boiled in a superior broth, the Fish Maw Soup ($8/pax) was brimming with rich flavours with delightful bites of spongy fish maws and sweet crab meats. Fragrant Pumpkin Prawn Ball ($20/$30/$40). Deep fried to golden brown, both have a nice crunchy and crisp texture. The sauteed prawn ball in almond wasabi is a classic pairing that will not go wrong. I actually preferred the signature fragrant pumpkin prawn ball more. It seems like the pumpkin sauce helps to bring out the sweetness of the crunchy prawn more. 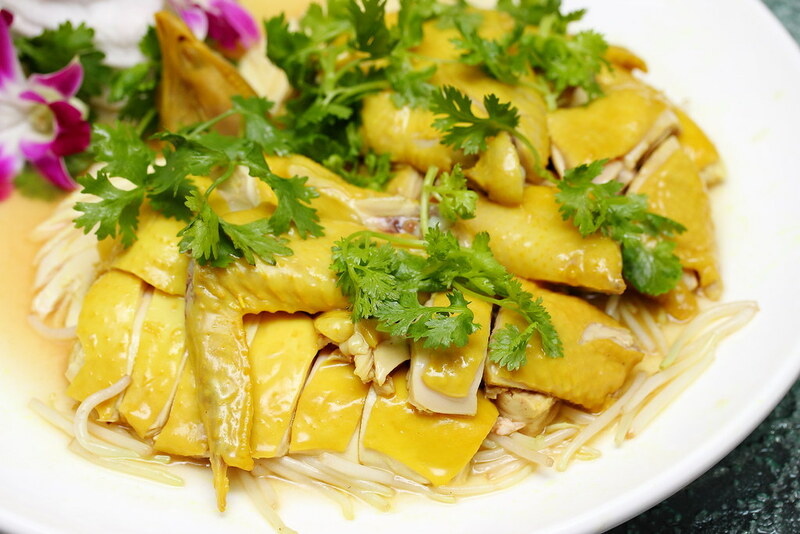 The Stir Fried Fish Slices in Egg White ($16/$24/$32) served in a net bowl has a moist and silky texture. Similar to the classic crab meat in scrambled egg white, this version uses sliced fish. The Black Pepper Pork Chop ($9/pc) took me by surprise with its extreme soft tender texture. 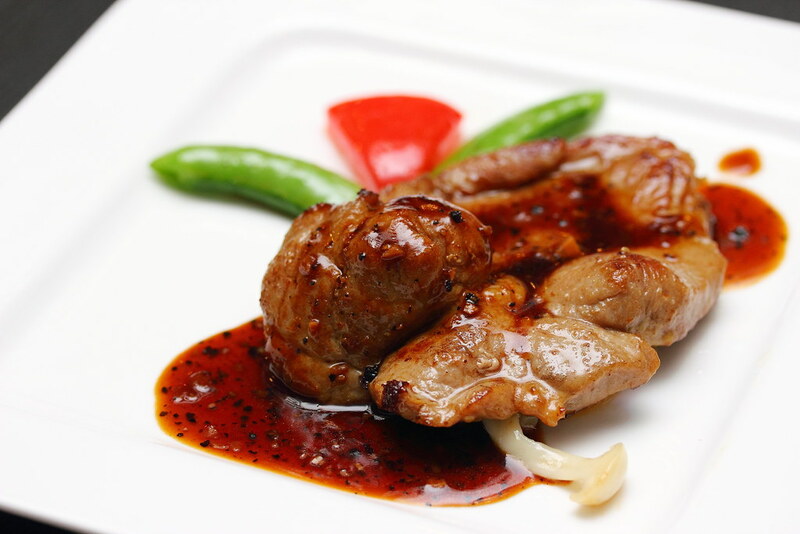 I never known that a piece of pork can be cooked until so soft and tender. The black pepper sauce with that slight peppery punch, completes the whole enjoyment. 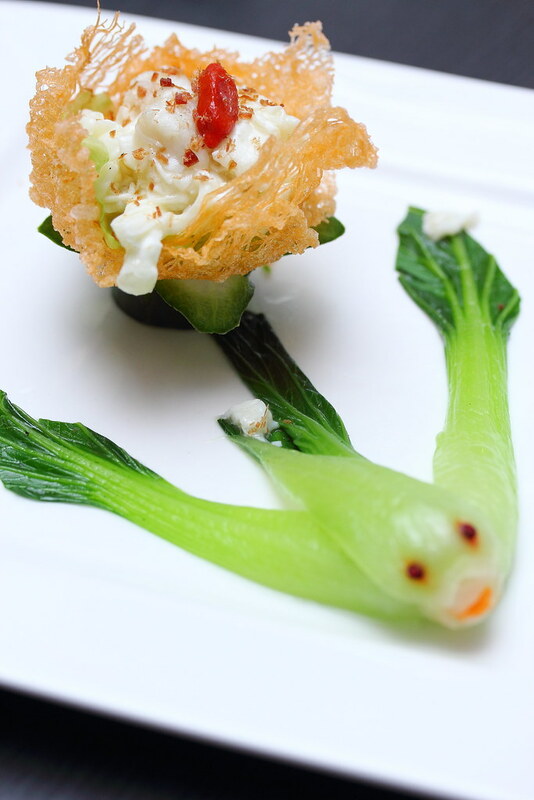 For a lighter and healthier choice, there is the Jade Gourd Stuffed with Assorted Vegetables and Beancurd ($14/$21/$28). The Samsara Signature Chicken ($18/half, $36/whole) is one of the dishes I have been looking forward to since the start of the meal. 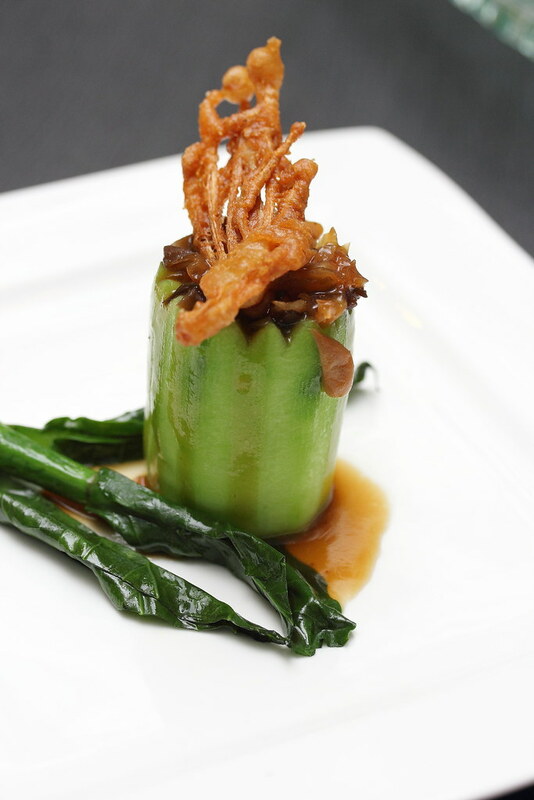 This is probably the dish that brought fame to the restaurant with food critic Wong Ah Yoke giving it a thumbs up. 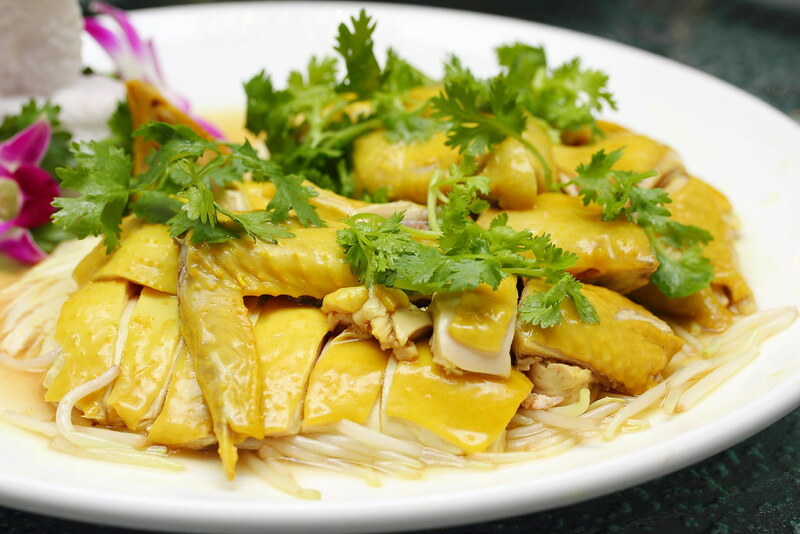 The dish uses kampong chicken which comes with a good flavour. Ate it together with some minced ginger dip and chili dip for a wholesome appreciation of the poultry. 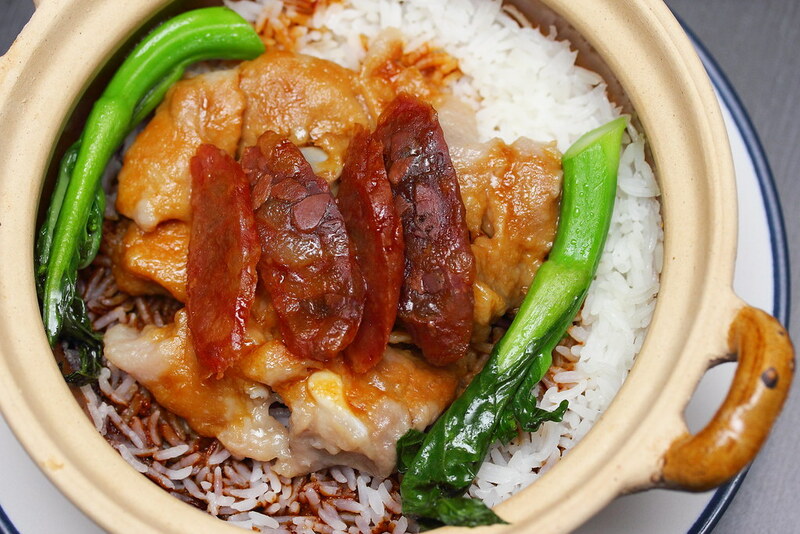 The Claypot Rice is a surprise dish that the restaurant has prepared for us. Cook from scratch using raw rice grains, the fragrant rice is further accentuated by the essence of the Wing Wah lup cheong and aromatic dark soya sauce. If not for the earlier dishes, I would have cleaned the whole claypot by myself. 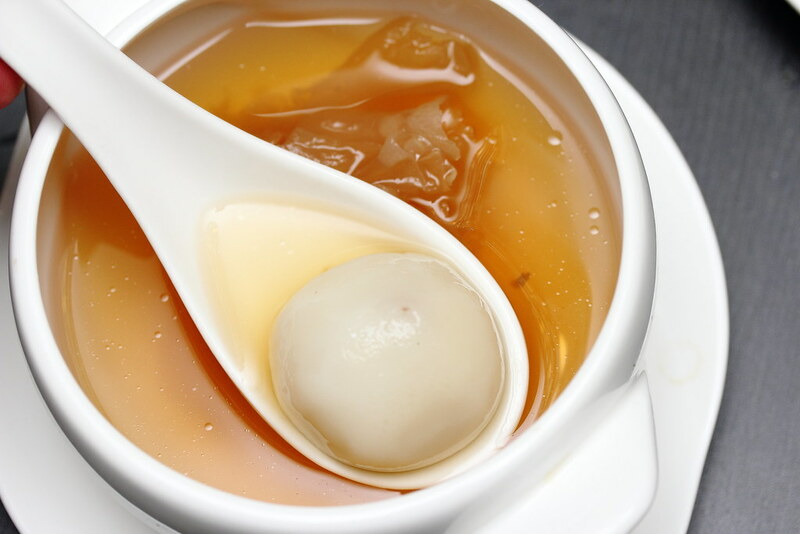 Last but not least, I have the Rice Dumpling in Ginger Soup to wrap up the delicious Cantonese feast. I am glad fate has brought me to Samsara Gourmet, discovering this little hidden gem right in the corner of a hospital. Besides the delicious and quality of the dishes the restaurant offers, the price point is also quite reasonable and affordable.